Posted on June 4, 2018 by Will M.
The University Academic Advising Board announced the results of the Executive Board elections today. 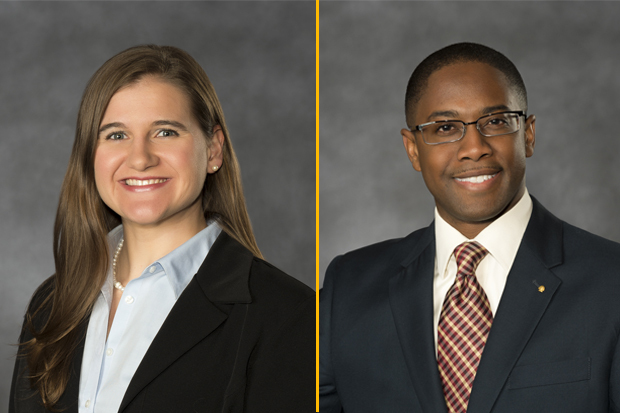 VCU Biology’s Assistant Directors of Undergraduate Advising Rachel Hill and Alvin Bryant were both elected! Hill will serve as Treasurer, and Bryant will serve as Chair of the Mentorship Committee. Hill and Byrant are the leaders of the department’s academic advising office. They coordinate all undergraduate advising activities for VCU Biology. Congratulations Rachel & Alvin!